Designing for mobile makes a lot of people nostalgic for the big screens connected to laptop and desktop computers. These large canvases easily allowed an organization’s brand to come to life with big visuals and rich media. In contrast, the slow networks and small screens on mobile devices seem to leave little room for effective brand treatments. In truth they do... but in different ways. 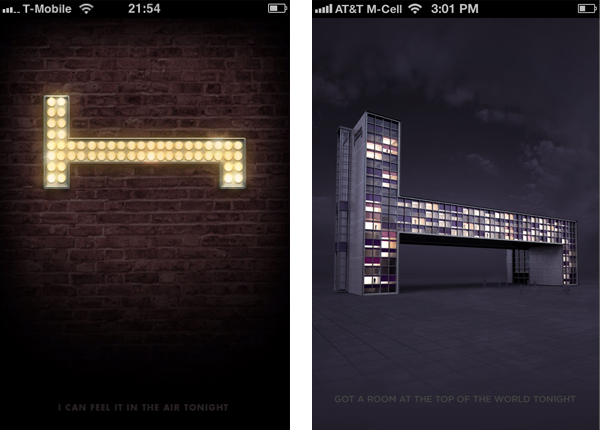 For example, Hotel Tonight includes a unique splash screen with each update of their mobile application. These variations make each release distinct and add some new life to the Hotel Tonight experience. Similarly, we make each update of Polar unique with a continually changing interactive component. 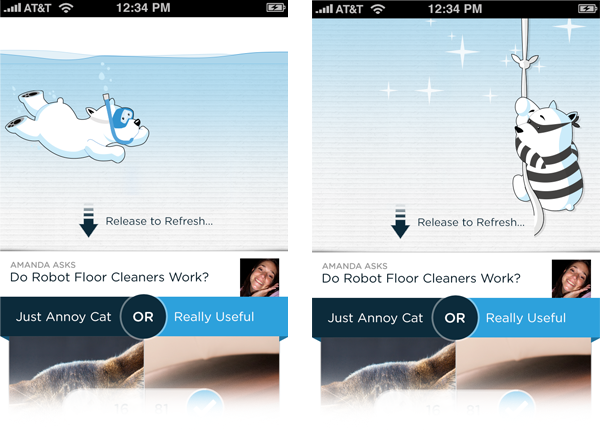 Each release of our mobile application features a new “hidden” character behind a pull to refresh gesture. When you pull down on a list of questions on Polar, you gradually reveal a polar bear caught in the act: snorkeling for fish, breaking out, or just hanging around. Every Polar update has a new bear that comes along with it and our users love to track him down. In fact, they make polls comparing the bears and discuss which one is their absolute favorite. Our aim is to make collecting and sharing opinions fun and we like to reinforce that wherever possible -even in a simple pull to refresh interaction.